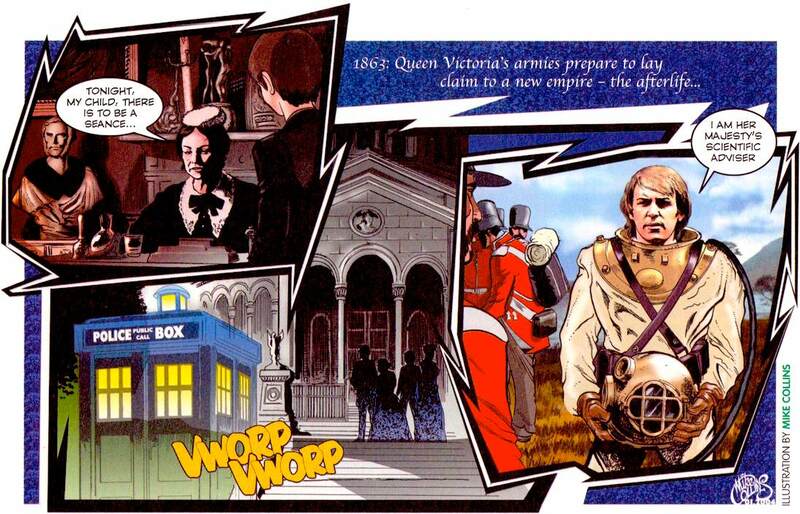 In Doctor Who, the Victorian Era has provided a good setting and often becomes the setting for many of the most loved adventures, including television serials like The Talons of Weng-Chiang and Ghost Light. Author David Bishop is no stranger to the time of the British Empire. In fact, his previous Doctor Who novel, The Domino Effect was set in a parallel universe in 2003 were the Empire never fell. But that doesn't mean that a return to visit to the nineteenth century is no less welcome. In fact there is a lot of fun to be had when reading the interactions between characters who come from different times. It is Nyssa who gets the most attention from the characters in the past when she does things like investigate corpses and receiving a gentleman caller in her bedroom. And the period is brought more delightfully to life through the eyes of the Doctor's Trakenite companion Nyssa as much of the story is written through her eyes in the form of diary entries. 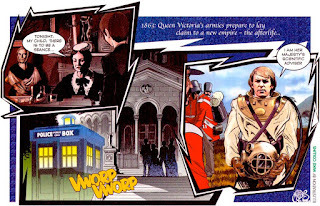 The presence of the grieving Queen Victoria is there to remind us of just how seriously the Victorians took their spiritualism and the Doctor explains to Nyssa, that era was a time of great philosophical upheaval. It was the time when science was beginning to be taken more seriously and many of the world's greatest thinkers where wondering what lies beyond death. But in this novel the Doctor and Nyssa also prove susceptible to the lure of the spirit world, both entering it at different moments in this novel. When the pair are greeted by the ghost of their friend and fellow companion Adric who died battling the Cybermen in Earthshock, the TARDIS set's course for the area where these apparitions are coming from. Bishop rightly choses to focus much of his attention on Nyssa and how she still hasn't fully come to terms with the death of her father, her entire world and surrounding planetary system, the death of Adric and the sudden departure of Tegan. He tells us that Nyssa is suffering from some form of post traumatic stress disorder. He also touches upon her latent telepathic powers which were touched upon in the television series and something which audiobook company Big Finish have gradually been developing further in their adventures. There are times when this novel could have done with having it's pace tightened up a little, over half the book is done before the Doctor and Nyssa eventually arrive at the rift, the area where the ghosts are coming from. But on the other hand the ending feels slightly rushed and I did get confused as to what was going on at times. However, the narrative remains irresistibly readable. In fact, it's dead good! 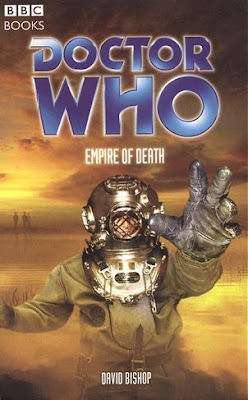 EMPIRE OF DEATH, WRITTEN BY DAVID BISHOP AND FEATURING THE FIFTH DOCTOR AND NYSSA WAS ORIGINALLY WRITTEN IN 2004 AND SINCE GONE OUT OF PRINT, HOWEVER IT CAN STILL BE PICKED UP FROM VARIOUS SELLERS ON AMAZON AND EBAY. IT WAS ORIGINALLY PRICED £5.99.